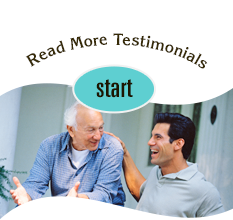 Care to learn more about services in your home in the Virginia Beach area? Just ask. Don’t worry that there are so many home health care choices and options in the area. 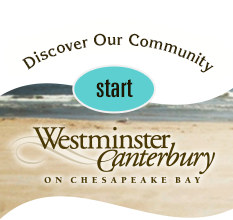 Westminster-Canterbury At Home, a subsidiary of Virginia Beach’s premier retirement community, will answer all your questions, either on the phone at 757-496-1653, during a personal visit, or with these Frequently Asked Questions. Home health care is a wide range of health care services that can be provided to you in the comfort and convenience of your own home by specially trained care professionals that come to you to treat your injury, illness, or post-hospitalization recovery. Westminster-Canterbury at Home is a care delivery option many people prefer over traditional inpatient care. Click here to see a list of our standard home health services, as well as our specialty programs and services. What services are included in Westminster-Canterbury at Home care? Will Medicare pay for Westminster-Canterbury at Home? Your doctor certifies you are homebound—leaving your home isn't recommended, takes considerable effort, or your condition keeps you from leaving home without the help of a wheelchair, walker, special transportation, or help from another person. How does Medicare pay for home health care? With traditional Medicare, Medicare pays Westminster-Canterbury at Home for covered services you get during a 60-day period—what's called an "episode of care." There is no copayment or coinsurance for this. Care services must be part-time; Medicare does not pay for custodial care. It's best to Contact Us to discuss your Medicare coverage based on your specific needs. You may have some out-of-pocket coinsurance on durable medical goods such as wheelchairs or walkers. We can help you plan ahead to avoid unexpected expenses. Usually a doctor, a discharge planner or a social worker will refer you to us. During your first home visit a Westminster-Canterbury at Home nurse or therapist will review your health needs, your medications, and your plan of care. We work in full cooperation and collaboration with your doctor as a full, caring partner in your health care team! You can also click here for the Centers for Medicare and Medicaid Services Medicare and Home Health Care guide. We look forward to the opportunity to serve you and provide your care the way you want it: At Home!